Security systems will always come in handy in keeping your home or business safe. A 16 channel security camera system will let you simultaneously setup 16 cameras in various parts of your home. These systems also allow for 24/7 monitoring with or without internet connectivity. Meaning there is no break from surveillance and no loophole for an attacker to exploit. You can cover every entrance to your building/house, every corner in the perimeter or every major room inside your building. 16 camera channel network video recorder is a necessity for a big home or office to cover all your bases without worrying about lags, playback trouble or paying for cloud storage. Cloud storage, though expansive, is prone to exploitation by skilled attackers and it is very expensive. A security system as large as this will be taking up TBs worth of data within a period of time. Systems with exclusive cloud storage will require you to buy more space which is impractical constantly. 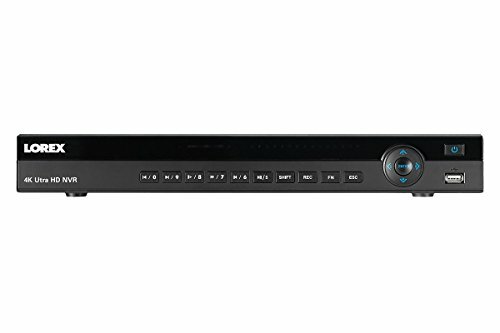 Our top pick for the best 16 Channel NVR is Amcrest NV4116E . 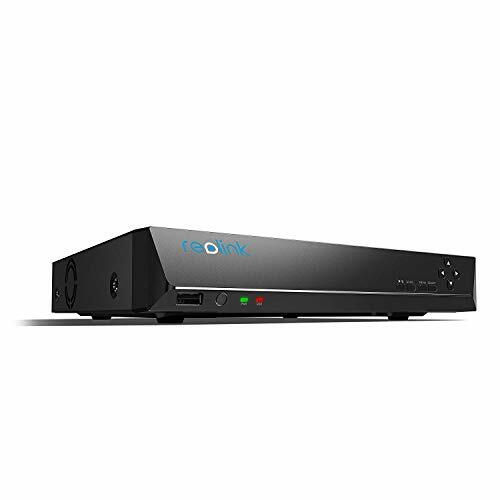 This network recorder not only supports 4k cameras, has a great mobile app and raving reviews on Amazon but also has an amazing value for money. Another positive side is that you can install up to 6TB storage, which is essential when running a setup with more than 8 cameras. The downsides that users noted are that it has only 8 PoE ports and subpart web interface. But lets go through in step by step. 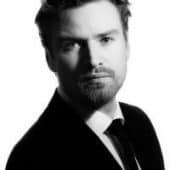 Alex Brice is a smart home expert and has been using, reviewing and testing home automation products for over 10 years. His articles were referenced by major smart home media like TechCrunch, Cnet, Home Assistant Blog. Alex is also an active contributor to smart home communities in Reddit, Quora, Automated Home and both OpenHAB and Home Assistant Forums. What is 16 Channel NVR? 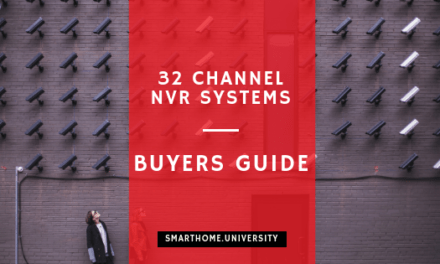 The purpose of this guide is to familiarise you with NVR systems with the focus on 16 Channel Network Video Recorder systems. When it comes to NVR systems, there are many household names, and they have several models released. We had hands-on experience with these products testing in our facility, and we factor in genuine customer input. Another reason this that there is no comprehensive guide for NVR 16 Channel exits. While other guides go by the product specifications and make crude comparisons. Our guide focuses on facts, the specs and the customer experience using them. We test our products in three specific phases. We make sure to read and listen to many customer inputs and reviews before actually using the product. This gives us an idea of what to expect and what to look out for. Before installation, we check the effectiveness of the manuals and guides. We take away points for translation errors, unclear instructions, etc. A good manual is important for a customer to install the product successfully. Afterward, we install the product. The installation process would have slight variations according to the models and companies. This is where we get to understand if all the wiring and the hardware components work as they’re supposed to. Then we use the system for a while to assess it’s software and other hardware. This is also where try to test out common user complaints to determine if they prevail. Camera quality, connectivity, storage are all important factors that must be in peak condition when in use. A clean desktop and mobile environment help users navigate the technology much easier. Considering how far we’ve come with software technology, we expect the companies we review to keep up with the times and produce quality software. The last factor we consider is how frequent the software updates are. Software updates can help patch up previous errors and improve functionality. We expect companies to update their software after a point of time. 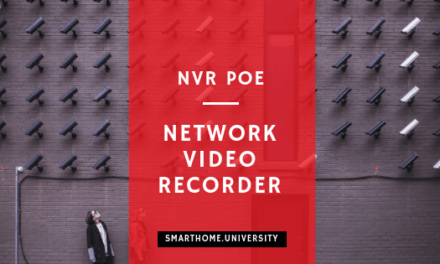 NVRs (network video recorders) use power over ethernet wiring and IP cameras to facilitate its recording. NVRs allow you to record long periods of surveillance footage for free with local storage. They also feature motion detection, night vision and other features that place it a step above smart cameras. Choose PoE standard: PoE cameras allow you to run a single cable for network ethernet cable for network connection and power supply. This brings down all the wiring setup, but it requires a PoE compliant switch injector or IP camera NVR system. Determine how much storage you need: Having a lot of storage capacity allows for longer periods of continuous recording. It is better to determine fixed storage and clear out or save backups periodically. More storage space becomes relevant if you wish to make your feeds more secure by creating multiple physical copies to prevent of loss of data. Go to NVR calculator that will help to determine what HDD capacity you need for your setup. Motion detection: Motion detection has almost become a standard among 16 channel NVR systems. The detection algorithms are usually quite complex so as to not have it trigger frequently. Advanced motion detection can really help alert intrusion and suspicious activity in the vicinity. High Resolution: HD, Full HD or 4K resolution can help you view the footage with more detail. Zooming in on suspicious activity for identification of objects or people might be helpful in some cases. Make sure that your cameras support the resolution of your NVR. Amcrest is easily among the top pics for 16 Channel NVR systems. The NV4116E ranks among the best NVR systems you could purchase. The system is also considerate of your wallet compared to many other systems with these features. Another outstanding feature for this model is the support of ONVIF Standard, which means you can connect the majority of cameras (unlike other models like Reolink with closed perpetuity protocols). The lack of an included HDD, 4K support and only 8 channels being PoE are the only factors holding it back. However, this is also why the NV4116E is the best all-rounder among all the choices. If you want a system that doesn’t cost too much but provides all the necessary features to set up strong security, then this is it. Working continuous recording with no lag/downtime. The web client is a pain due to it not following current standards of plugins. The company workaround solution of installing extensions isn’t helpful either. The manual does not provide troubleshooting for difficulty with the web client. Motion detection suffers a lot. Testing this 16 channel PoE NVR system came with wonderful results overall, but there were some minor issues faced. The motion detection has a lot to be desired. If you are fortunate and configure the settings well, you might be able to get the motion detections working well. Otherwise, it’s a pain. Then there’s the GUI and browser support. For the price, the hardware and features are definitely worth it but it will be a pain using web/mobile applications. Hardware details like camera quality, continuous recording, and real-time playback all function smoothly — the system as a whole work like a charm with minor setbacks on the software. The GW-3216E 1T is a good option if you happy to spend a bit more money on PoE NVR 16 Channel. GW is a great brand with great choices for PoE NVR systems. Increase in price gives you 4K resolution, 16TB HDD support, 2 USB ports with advanced configuration coupled with amazing motion detection options. In our tests, this is justified to ensure better performance and reliability of the systems. 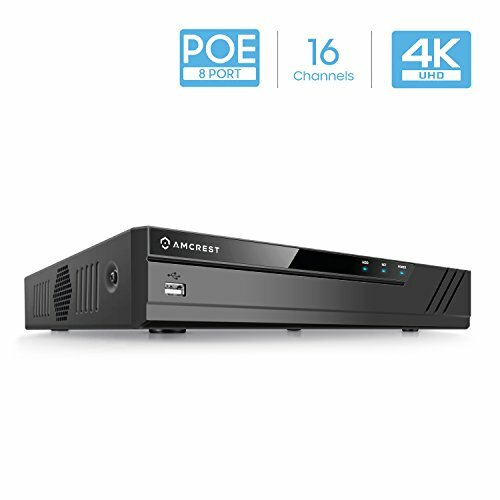 Although there it is difficult to compete with Amcrest NV4116E based on the value for money it provides for users, GW-3216E is a strong contender with added functionality worth extra price. Does not support wireless bridges as IP cameras are identified by MAC addresses. Unreliable manual. The English is weak the instructions are a bit unclear. The plug and play system makes the installation easy though. Motion detection requires periodic reconfiguration. Reolink is the only other name that can challenge Amcrest in terms of quality, affordable pricing, and great customer satisfaction. The RLK16-410B8 makes little compromises to give out the best experience. Making sacrifices in the megapixels supported but raising the resolution to 4K so that the camera quality still stay relatively good. Pre-installed 3TB HDD and supporting up to 12TB gives the customer a lot of leverage. The blazing connectivity speed and 30fps real-time viewing make remote or local viewing bearable. That doesn’t mean the system’s perfect. The biggest negative is that it can only work with Reolink cameras. This does not say that Reolink cameras are bad, it is limiting the choice that is bothering us. The company has also been hearing complaints about their customer service. RLK16-410B8 is a great choice, but we only recommend if you already have or planning to buy only Reolink cameras. It can run up to 270ft via CAT5 and 330ft via CAT6 8-pin Ethernet cable. Motion detection requires some configuration. Lorex has delivered an amazing security system with all the best features one could ask for. 4K resolution with 8MP cameras so you can see each corner of the vicinity in crystal clear quality. More than enough storage capacity and a pre-installed HDD to boot. No frames are going to be skipped with the 480fps real-time recording and 320 Mbps network connectivity. With these specs, continuous recording is a breeze for this system. You can safely view any part of your home/business remotely. Compared to GW system above, in addition to higher fps and network connectivity, we feel that Lorex provides overall better customer support as well. The price is certainly not low, but the brand value justifies the price increase. Strong connectivity guarantees no lag or freeze. Has a random reboot issue. Lorex promises to fix this by the next firmware update. The Lorex system has faced some reboot issues as of late but the company has promised a quick firmware update that will take care of the random reboots, and the configuration resets. The system is a little noisy when running. Hence, we advise you to use this system for exterior surveillance more than the interior. The sound isn’t loud enough to affect indoors. The mobile app is decent and has basic features, but the web clients need to update itself and improve its UI. Step 12) Plug IPC’s power adapters to the power supply. How many hours can the 16 channel security camera system record? Most of the 16 channel security camera systems are designed to run 24/7 continuously, but the effectiveness of that depends on storage space camera resolution. The cameras will still run 24/7 if you want it to. It will delete old footage to store the new ones. How far do the wires of my 16 channel home security camera system run? The wire length varies between the brand and model of the product. 16 Channel NVR systems are mostly around 300ft or more. How to find affordable 16 channel security camera systems? Finding cheap but effective security systems are hard. You can either find the right system on this guide, or you can use other methods to get cheaper prices. Finding valid coupons to use on sites like Amazon would be a great way to cut some price. Should I go with 16 channel or 8 channel NVR? The difference is all about how many cameras you want to install simultaneously. If you are a moderately large business or you have a house with plenty of space inside and out then a 16 channel NVR would give you enough luxury to add as many cameras required to cover your blind spots. 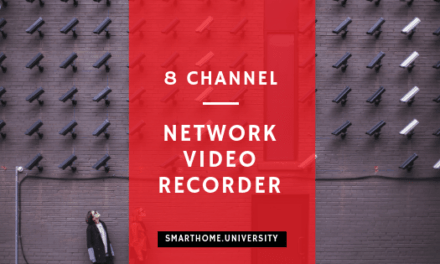 8 channels may not be enough to cover the whole perimeter without missing a few spots that attackers can take advantage of. However, 16 channels do require you to spend more. So the question is, how much security do you need and how much are you willing to pay?